An oni is a Japanese demon, an imaginary monster. 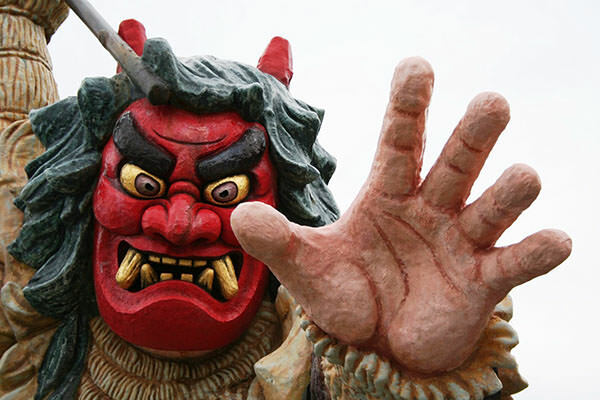 Ancient people in Japan believed that onis brought them any misfortune and were afraid of it. 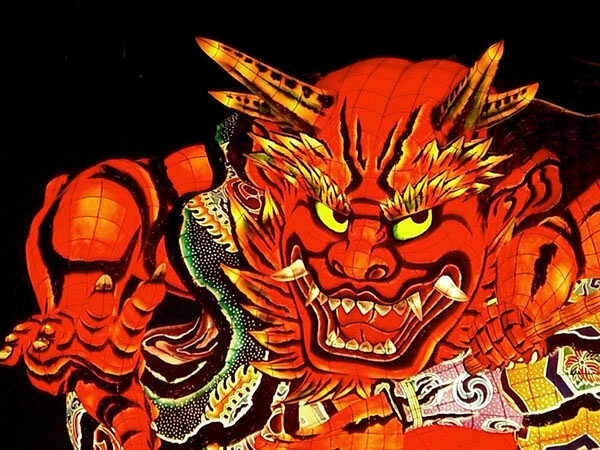 Since Japan is an island country, some thought that onis might be a metaphor for visitors from distant countries. At Setsu-bun (refer to #089), people often throw soybeans against those wearing oni masks as a ritual that has been inherited from ancient times. There are many oni legends here and there in this country.